Yesterday I did my first solo flight in the United States since 2011 and it all went great. 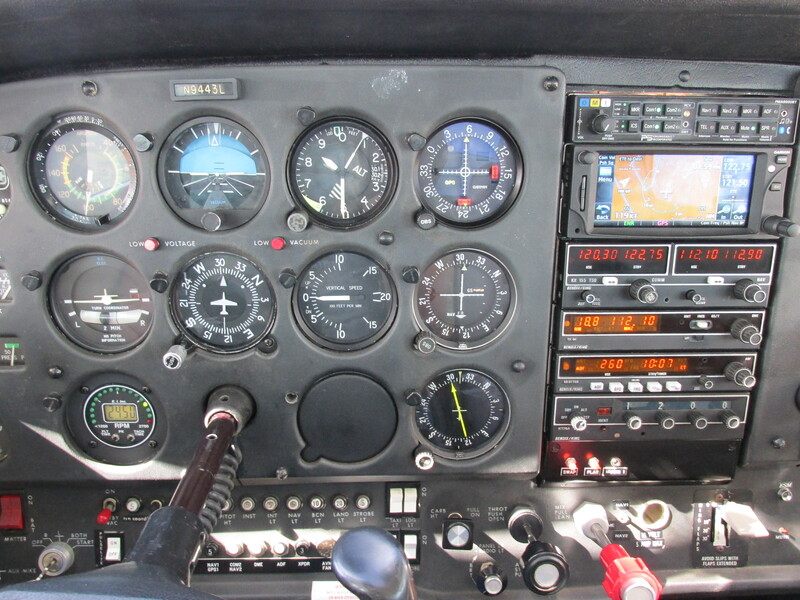 Back then, just after my checkride, I did only one flight as a private pilot in this country. The flight to Ocean Shores, WA, was quite eventful. I had direct crosswind on landing, deer on the taxiway, foul spark plugs at the holding short line and sea fog rolling over me on take-off. It was a bit too much at once for a greenhorn who just earned his licence to learn. Yesterday’s flight instead was, luckily, extremely uneventful. 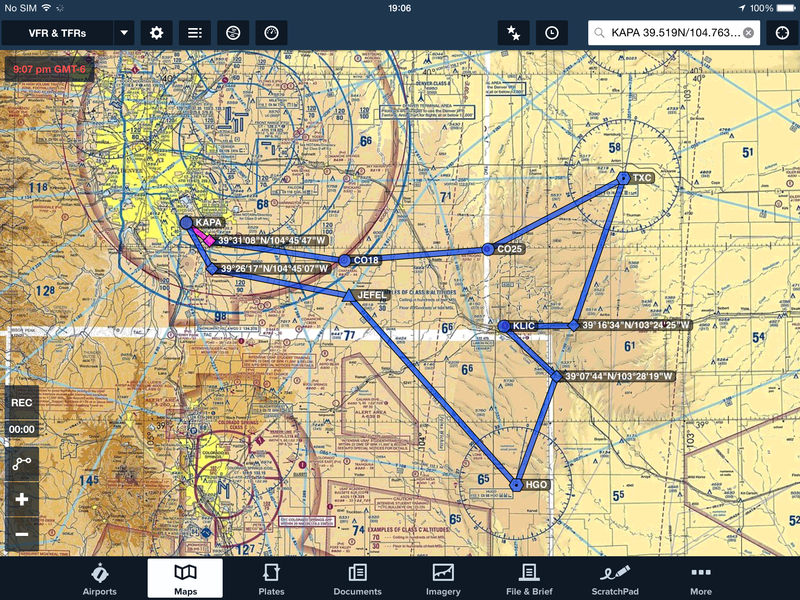 This was the first time I flew with my iPad and ForeFlight. It was great for situational awareness but in severe CAVOK it wasn’t critical at all. 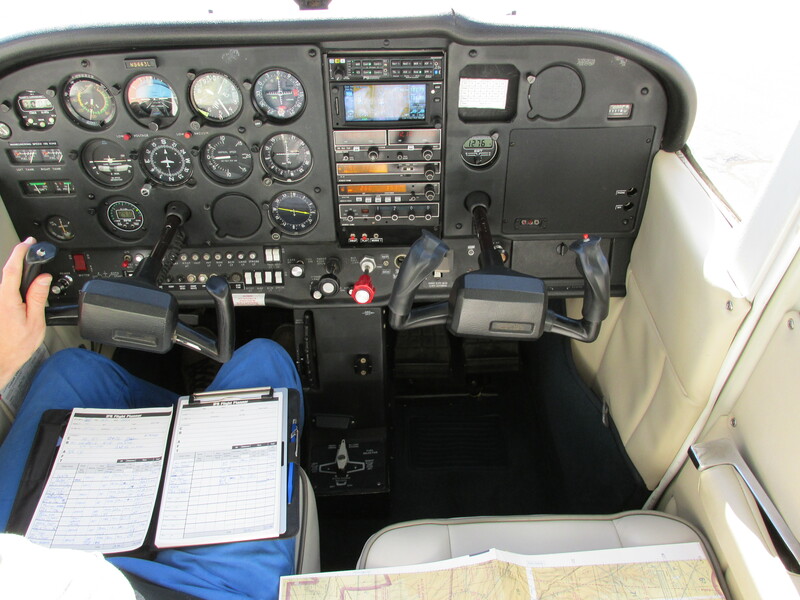 I prepared the flight as I did during my training in Seattle and found that when I was flying in Switzerland I became so familiar with the routes that I never really needed that much preparation. For this flight though, in terrain without landmarks, I was happy to have a full hand-written flight log with me. 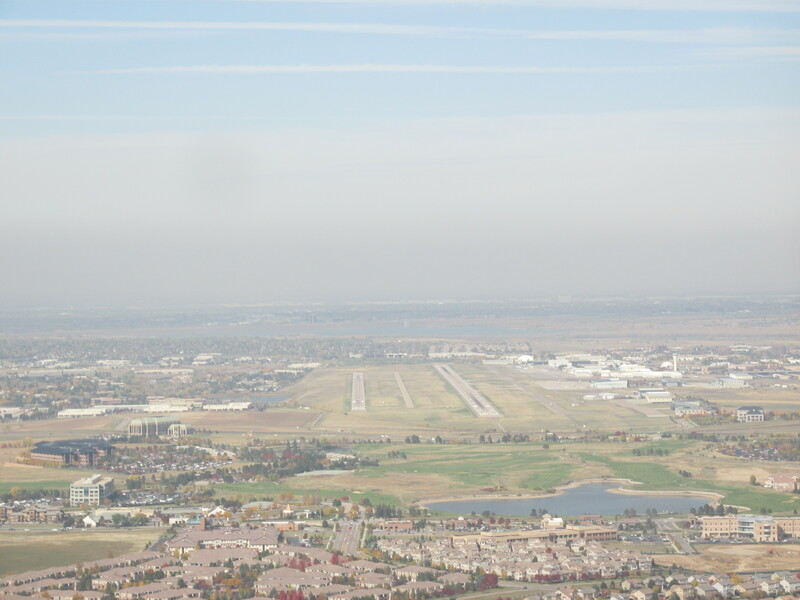 After takeoff I called Denver Departure and asked for Flight Following and they patiently accommodated me between the calls of the big airliners flying in and out of Denver. Thanks to the light winds aloft it was easy to use dead reckoning as the primary means of navigation. By pilotage alone I would never have found the first two waypoints (CO18/CO25). My brand-new metal E-6B told me I would be there at 1238 and 1253 respectively which was exactly what it turned out to be. I thought It would be fun to do a few touch-and-go’s there but since it would probably be illegal and I wanted to keep the flight as uneventful as possible I continued to the Thurman VORTAC. While I tried to figure out how to switch the OBS from GPS mode to VLOC – an issue I knew of from instrument lessons – I followed the course I had planned. It was great to use the VORs on this flight. I was flying on the radials for a long time and made use of my new, or refreshed, knowledge about them. The way to Limon, KLIC, was really easy to find. I followed two highways to get off and to the victor airway again. 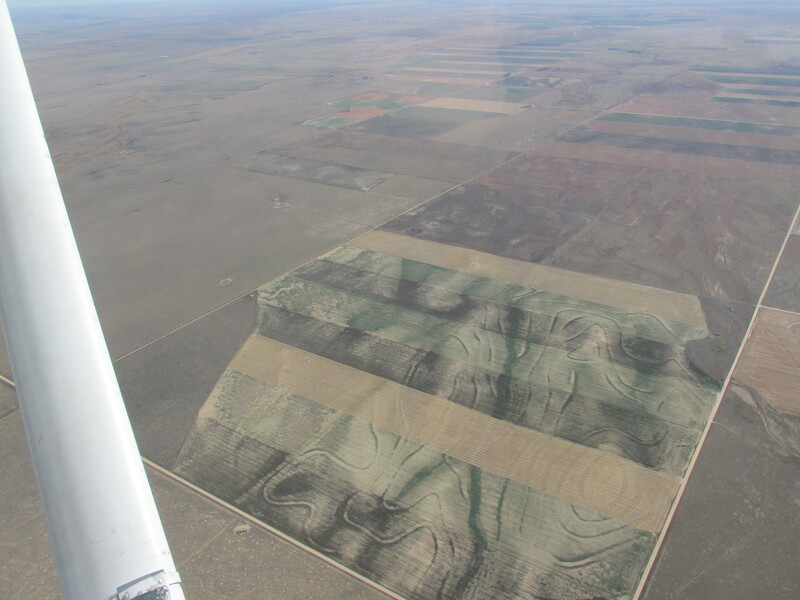 While I was flying toward the airport I announced that I would overfly the field for a wind check. I felt stupid after saying that because wind mills were surrounding me and it was obvious where the wind was from. 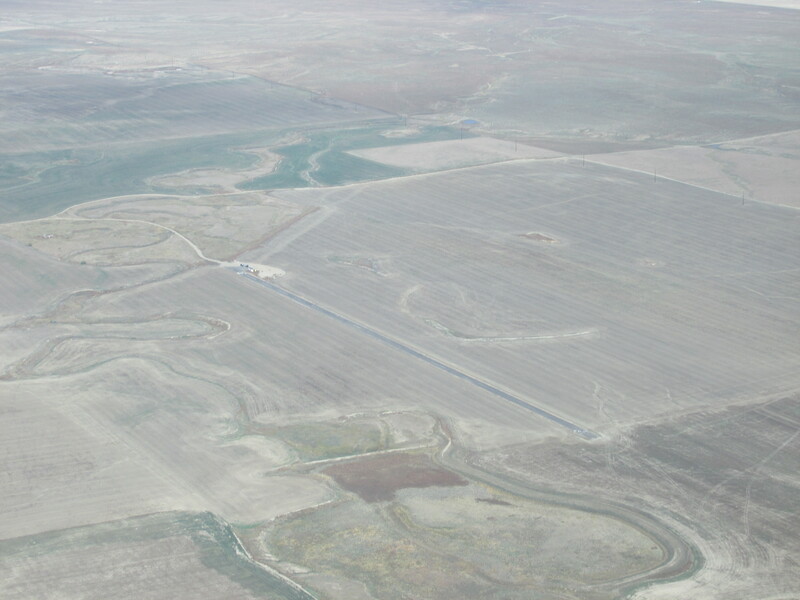 What I actually had in mind was just to see the airport from above to see what was going on and if it was safe to land. I turned outbound and set myself up on the 45° for downwind. Really easy. The last time I did that was in France. 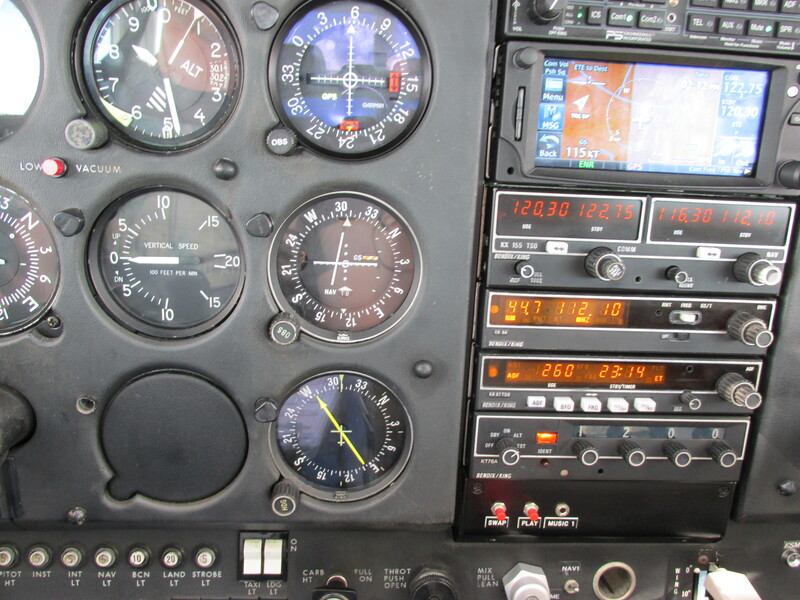 In Switzerland and Germany the standard pattern does not exist and every field has a visual approach chart containing the same amount of information as an instrument approach plate – no kidding. 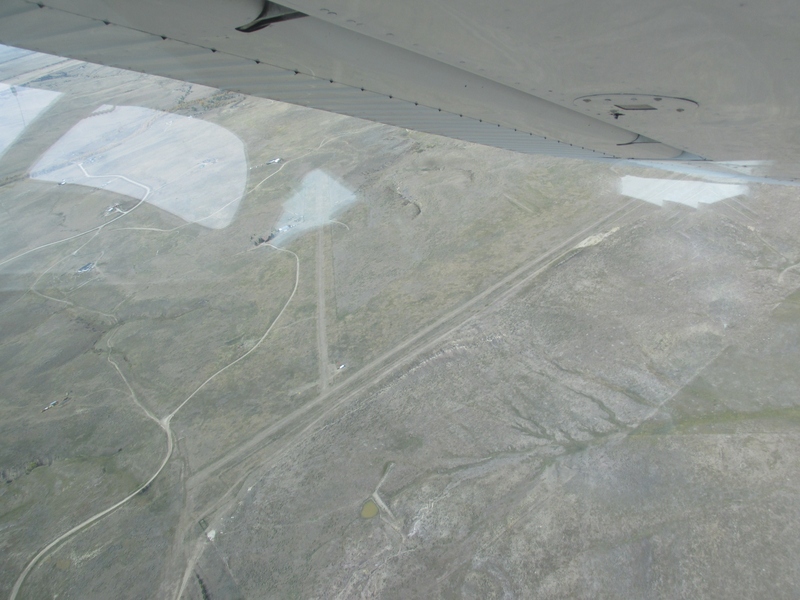 After three touch-and-goes I felt that I have to get on the airway so I announced to leave the pattern and followed the highway to the city of Hugo. From there I could directly fly towards Hugo VOR. 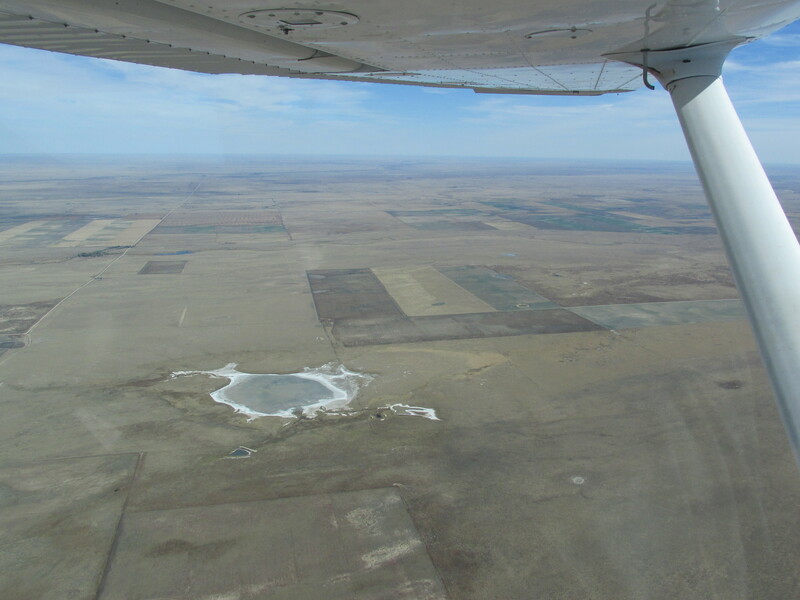 I believe this is a small salt lake because the water can’t go anywhere – it evaporates and the salt remains. Opinions? In Switzerland it is next to impossible to find a field longer than 1500ft – quite a difference! 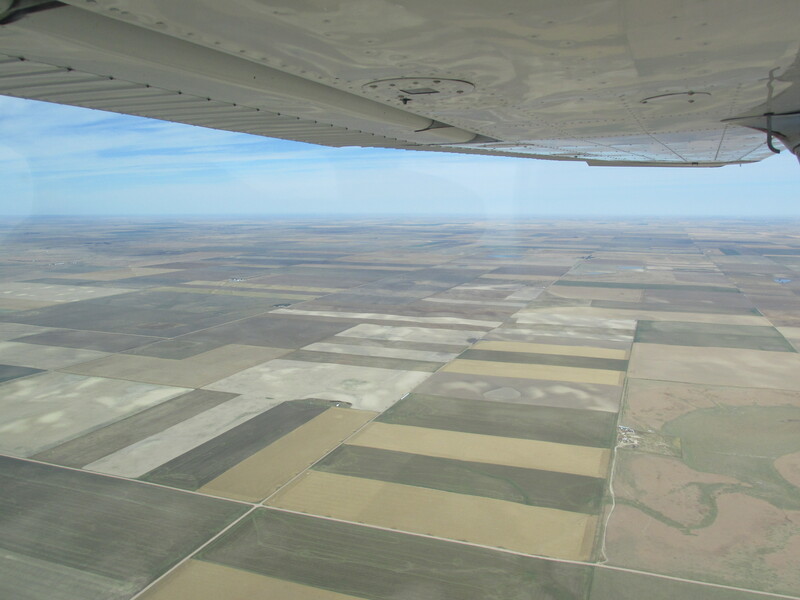 The office, flying on the airway to Hugo VOR. 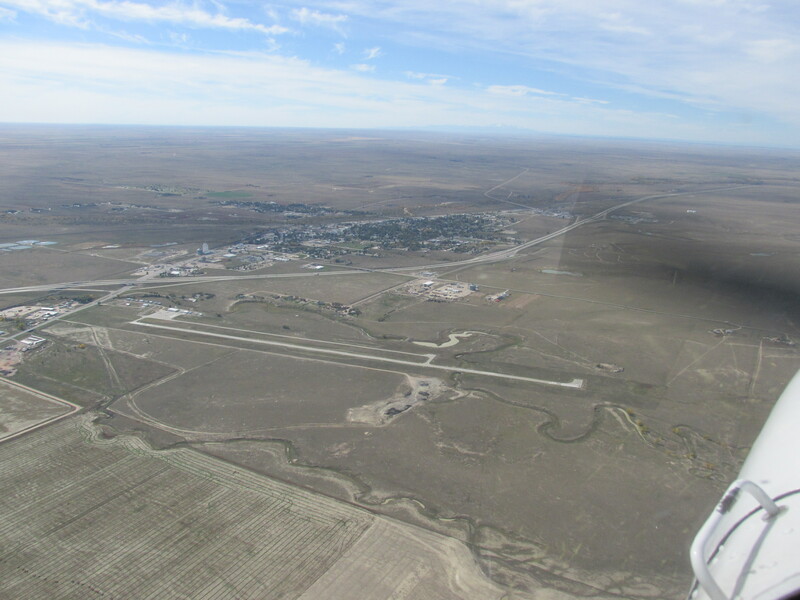 After I turned from a southbound to a northbound course at Hugo I followed the next airway and kept coming off the radial. Usually that is because of the wind but it was nearly a tailwind so it didn’t make sense. Out of curiosity I checked the deviation card. My intended heading was 308°. 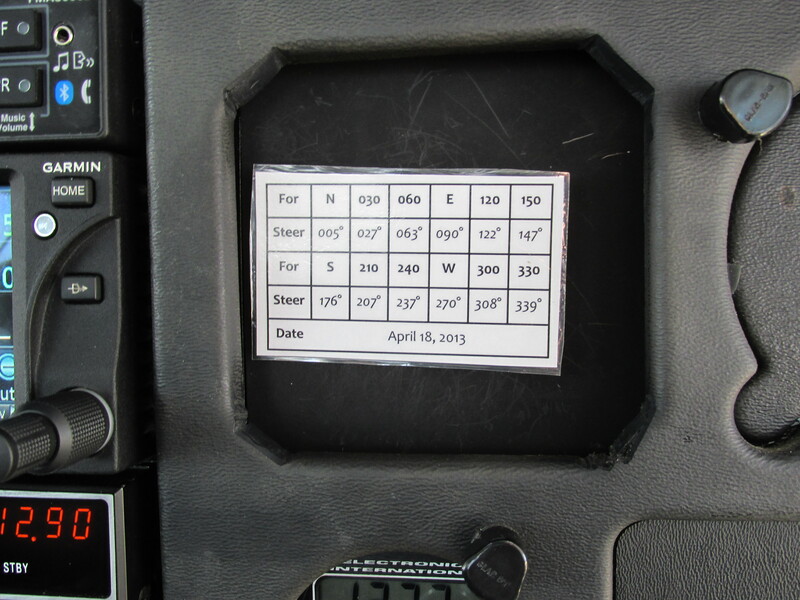 As you can see for 300° you have to steer 308°, so I changed my heading to 316°. Now I was nice and steady on the radial. This is the first time in 220 hours of flying that I actually used one of these deviation cards. It would be fun to turn off the alternator to see if the compass would swing back to the correct indication (or is it still producing electricity and thus changing the magnetic field anyway?). But I would do that only in my own plane if I had one, because I heard an alternator could be damaged by turning it on and off in flight. I planned to follow the airway from Hugo VOR toward the Falcon VOR. 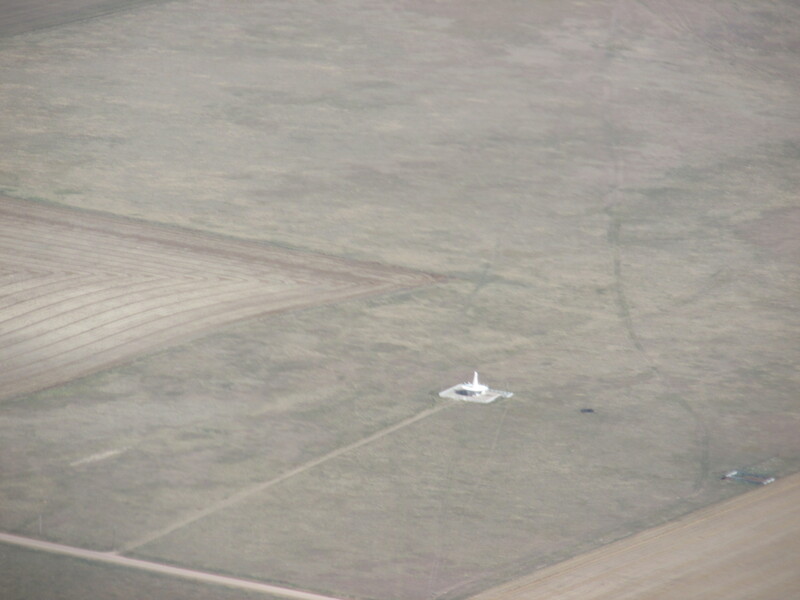 I could have identified JEFEL by DME but I decided to track the NDB of Centennial – Casse AB. The planned magnetic bearing was 271°. On the photo you see it still at 300°. I stayed on the airway until the needle dropped to my desired course and then turned. Make sure you always turn the compass card of the ADF for every little heading change, or the needle doesn’t make sense! By the way, the turn coördinator was all the time indicating a slip (and after 15min I got too lazy to keep holding the rudder pedal). 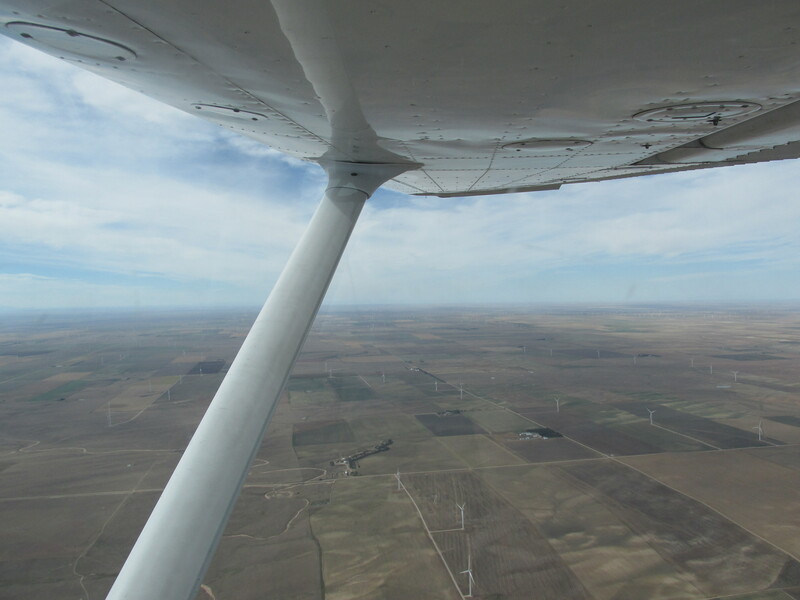 I also felt it in the seat, and to maintain level flight I always had to keep right aileron. 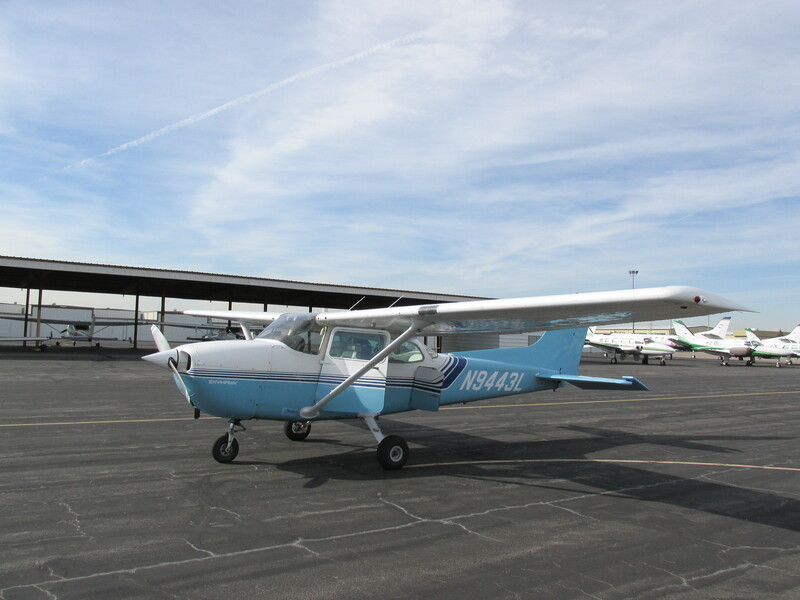 I would suppose the rudder trim metal got bent but I am going to ask my instructor about that – he’s an A&P and the owner of this plane. Still on the airway towards JEFEL. See ADF needle at 300° magnetic bearing. The needle approaching 271° – just before turning onto this heading. I was even able to track this magnetic bearing until I was above “The Pinery”, where I made my initial call for my landing at Centennial. I turned off the runway, wrote down the landing time and guess what – the flight was 6 minutes shorter than planned. Not bad on a 228nm flight. This made me confident that I was back in the game and ready to put some real hours in, instead of the simulator all the time. I did things on this flight I had never done before in a real plane, like tracking a NDB, and I refreshed my knowledge about all other means of navigation. For next time I will record the flight track, I simply forgot to do that. But if that is all that went wrong, I’d say I improved a bit since my sea fog-deer-experience in Seattle three years ago. Happy landings! Thanks for the ride 43 Lima!